In the lexicon of modern analysis of terrorism and insurgency, the term “foreign fighter” has a particular power. The presence or suspicion of foreign fighters in a conflict zone, whether true or not, implies for many a increase in seriousness and scope of a conflict. Particularly after the war in Iraq, and the hard evidence of foreign fighter recruitment and networks found at places like Sinjar, reports about foreign fighters carried with them a risk of increased technical proficiency in central conflict zones that could then radiate outward after these fighters — if they survive — return home. This news came on the heels of reports that several Westerners, including French citizens, had attempted to or successfully joined AQIM or other militant groups in Mali. One of these French AQIM members, a convert to Islam from Bretagne (Brittany) named Abdel Jellil who has lived for the past two years in Timbuktu, even made a video giving some of his personal history and threatening France, the UN, and the United States not to intervene in Mali. These reports certainly have gotten the attention of French intelligence, but have more broadly helped spread fears of a new “Malistan” that could attract jihadists to the Sahel, with negative consequences for the region and possibly even Europe. So, how do we go about analyzing these various reports? For one thing, these reports are hardly new; AQIM has been recruiting non-Algerians for years, though it is only more recently that its leadership has diversified to include non-Algerians. Some analysts believe that tension between non-Algerians and the group’s Algerian leadership prompted MUJWA to break off from AQIM, though as I’ve noted before I am unsure of the extent to which the division of these groups represented a true schism, rather than a somewhat less hostile separation. And though in recent months this recruitment appears to have picked up, including not just a number of North and West Africans but also purportedly Pakistanis and others, it is not a sudden phenomenon. Additionally, it is incredibly difficult to ascertain what exactly is going on in northern Mali, making it challenging to get a clear picture about foreign fighters in the north, whether discussing nationalities or numbers. While it seems clear from various witness reports that accounts of foreign fighters, and even the recent entry of foreign fighters, is not simply a feedback loop, some reports put the number of new entrants into northern Mali far lower than others, while both the Tuareg National Movement for the Liberation of the Azawad (MNLA) and Ansar Al-Din have denied that the influx of fighters took place at all — though both groups have their own reasons for denying the reports, and Ansar Al-Din in Timbuktu spokesman Sanda Ould Boumama’s already weak denials have become less convincing the more people asked. But these divergences highlight the confusion that can arise in an environment with few journalists (unlike, say, Syria), high danger, and a reliance on impossible to confirm local reports. And finally, we should be cautious of other political agendas that can worm their way forward in reporting about terrorism issues. Despite reports only indicating that some fighters may have come from Tindouf in Algeria or the Western Sahara, pro-Moroccan press outlets or writers quickly spun that to claim that it was the Polisario that had “sent” fighters to northern Mali, or to only highlight that fighters came from Tindouf, rather than allowing the possibility that Sahraouis may have traveled to northern Mali from several places, including Moroccan-controlled Western Sahara. Regardless, the point is that for some, news of foreign fighters immediately became just another political football, a chance to lash out at opponents instead of focusing on other issues. What does this mean for Mali? The first thing to note is that it appears that recruiting networks to the Sahel, and particuarly (but not exclusively) AQIM, have shifted recently. Again, while AQIM has for years been recruiting in sub-Saharan Africa, it is interesting that previously, most analysts regarded AQIM, in northern Algeria as well as the Sahel as having broadly failed to recruit extensively among other North Africans and Europeans. While the organization had links to other Maghrebi jihadist groups and cells of varying capacity, AQIM never approached one of its stated goals, to unify the region’s militant groups into one organization. However, if the anecdotal evidence about Tunisians and Egyptians in particular is true, it could be a sign that northern Mali is becoming more attractive for other jihadists, something that I would attribute at least in part to the very public application of shari’ah that has earned Mali’s Islamist groups international condemnation. The same is true for French fighters, whose small but growing presence in Mali is a change from recent years, where the vast majority of recruits seem to have been drawn to Pakistan’s tribal areas. While this is largely speculation, I suspect that the opportunity to implement shari’ah, in addition to visual proof of its implementation, has drawn some fighters in while dispelling for others lingering suspicions about AQIM in particular. Additionally, the ability of AQIM, MUJWA, and Ansar Al-Din to operate openly and uncontested over a vast area of Mali, including northern Mali’s three main cities, has undoubtedly made it easier to reach and join these groups, though it remains extremely difficult for potential fighters to get to Mali in the first place, especially with the international attention focused on the country. More interesting, however, is what these foreign fighter inflows may indicate about militant groups’ strategies in the face of a possible intervention in northern Mali. Based on discussions and observations, it appears that a number of countries particularly in ECOWAS, seem to have thought until recently that an intervention in northern Mali would be relatively easy. This despite the fact that intervention’s biggest booster, France, has recently acknowledged that an intervention would in fact be “difficult” and would require “hardened troops.” Still, it appears that by at least threatening intervention, some groups believed to represent a more localized or Malian militancy, namely Iyad Ag Ghali and Ansar Al-Din but also the MNLA, could be induced to separate from AQIM and MUJWA and seek negotiations. According to this thinking, the more hardline “terrorists” and “drug traffickers” in these groups could then be marginalized, isolated, and more easily targeted. 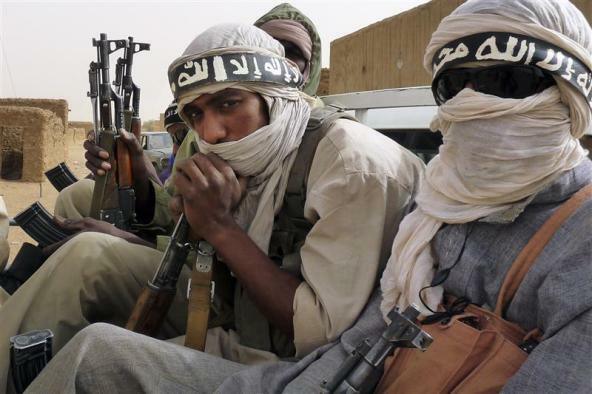 While this plan has potential to at least disaggregate the various militant groups in northern Mali, it does not take into account the plans these groups have already made for their own defense. Recent accounts have discussed efforts undertaken by Ansar Al-Din as well as MUJWA to disperse forces, with a “psychosis” reportedly taking hold in Kidal, leaders fleeing to Algeria or to the brush, others leaving Ansar Al-Din altogether, and MUJWA closing off some quarters of Gao and bringing people into the city’s center to purportedly use as “human shields.” Ansar Al-Din in Timbuktu (which I and others believe to largely be composed of AQIM members) and MUJWA in Gao and Douentza have also reportedly dispersed their forces, while concentrating “local” recruits inside the cities. These movements can be interpreted as a reaction to the growing threat of a foreign intervention in Mali, and the reports of growing concern, confusion, and fear among northern Mali’s militant groups appear credible. Yet we should not assume that concern over intervention or dispersing forces means that the diverse forces arrayed across northern Mali will simply pack up and leave in the event of an intervention. After all, these groups have known for some time that an intervention could happen, as ECOWAS and France have been threatening such a move for months, even if the contours of such an operation appear to be ploddingly taking shape and more countries possibly coming on board for some type of military operation in Mali. MUJWA, for instance, has reportedly been keeping the bulk of its military forces at least 15 km outside of Gao since at least August, in anticipation of possible strikes. This is where northern Mali’s new, foreign recruits come in. While the skills and capacity of foreign fighters in northern Mali is unclear — are they experienced? Novices? Trainers? — they may represent more than simply “reinforcements” or replacements for fighters who have left Ansar Al-Din, AQIM, or MUJWA. Instead, these fighters, whatever their numbers, represent another example of these militant groups showing a desire to dig in, and even set down roots in the north. For months now, these groups (especially MUJWA) have spent rather significant amounts of money on paying fighters, keeping down the price of food and other goods, and providing some level of services, like electricity free of charge. They’ve also taken steps like initiating meetings with local leaders to discuss governance, as Ansar Al-Din’s Sanda Ould Boumama recently did in Timbuktu. In this context, foreign fighters could present a more solid kind of support than local troops, given that they have likely not traversed dangerous and bleak terrain, only to arrive at a place and leave at the threat of military attack. This does not mean that Islamist militant groups in Mali will not pursue other actions, whether extending current dispersal efforts, fleeing into other parts of the north’s hinterlands, or even heading to other countries in search of shelter. This fragmentation and separation may be more likely to occur if, as some reports have suggested, a struggle for leadership is taking place between factions of AQIM and MUJWA. And this is where the number and skill of fighters comes into play in terms of impacting the ability of militant groups to maneuver, defend territory, or otherwise ensnare ECOWAS troops on unfamiliar territory. But insofar as recent reports indicate a willingness to accept and even promote these fighters, their presence could signify an attention to at least make life difficult for any intervention force in Mali, something that could undercut current projections for the eventual success of such a force. UPDATE: In the comments below, Nasser and 7our make excellent points related to the difficulty inherent in defining a “foreign” fighter in a region where ethno-linguistic groups cross borders, where some borders barely exist, and where centuries of trade and intermingling make it very hard to define who belongs and who does now. These comments remind me of something the great scholar of northern Mali Baz Lecocq noted in April, after RFI reported locals hearing fighters speaking Hassaniyya; as Lecocq pointed out then (and 7our points out below) a number of people speak Hassaniyya, including some Moors (Bidan) in northern Mali. One could complicate the issue further by pointing out that longstanding marriage and other ties can also blur the line between nationalities; for instance, in the Adrar in Algeria, many families have some sort of family connection to northern Mali, something social anthropologist Judith Scheele discusses at length in her excellent recent book. So in this case, if someone lives in Algeria, has an Algerian passport, but either has family in northern Mali or can directly trace their lineage to northern Mali, would that make them a “foreign” fighter, or not? This is partially why I find the recent reported influx of non-Sahelian fighters to be so interesting, because as Nasser very rightly stated in a message to me and in the comment, there are people who more naturally “belong” in the Sahel, than others, and it is important to differentiate when talking about these fighters. Additionally, 7our and Nasser both raise important methodological issues in evaluating these reports, namely the issue of how local witnesses know about and identify these foreign fighters. Is it by accent? By how the fighters look or dress? By how they identify themselves? And if they do identify themselves, is it by region, by group, by country of origin, and so on and so on. Keep their insightful comments in mind while reading this post, and when looking at further reporting about this issue.